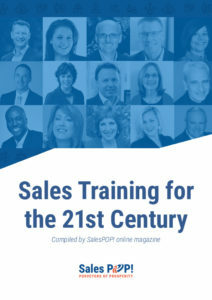 Sales Training for the 21st Century by John Golden - SalesPOP! Sales. It’s right at the center of a company’s revenue strategy. Without sales, revenue doesn’t happen at all. 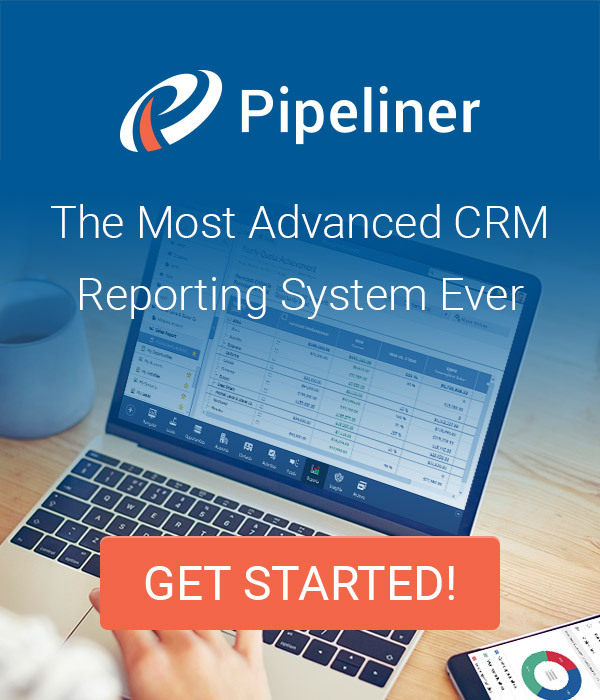 With the right sales team and the right strategy–and of course the right product or service–it’s a rocket ride right out through the top. But what comes before all that? You guessed it: sales training. 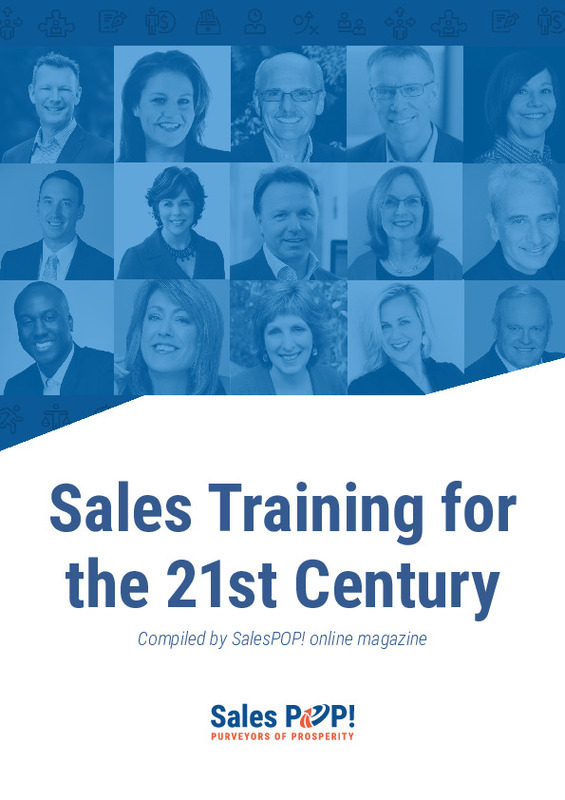 Join us in this ebook as some of the world’s top sales experts weigh in on this incredibly important topic. What is Great Sales Training? Why not build a whole selling organization based on a collective culture that coaches, encourages and rewards behaviors that contribute to the financial goals of the organization? One reason sales training results are often dismal is that most trainers act as if they are school teachers. The student variances are never taken into account. 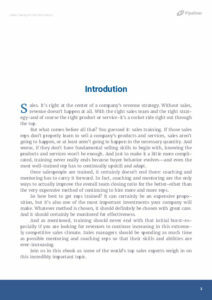 Sales training is a strategic issue; it should always be driven by what the organization’s strategy demands. Spending that hard-won currency on over-simplified, tedious, or uninspired training sessions will push your revenue-generating energies toward the red zone. Are you an unwitting accomplice to rep abuse? Let’s find out. Here are some top signs that your new hire training might be broken. Candidly, we see this with our own customers. They’re frankly more skeptical. We need to be more effective at articulating the value of our products and services, and the type of return on investment they may get. 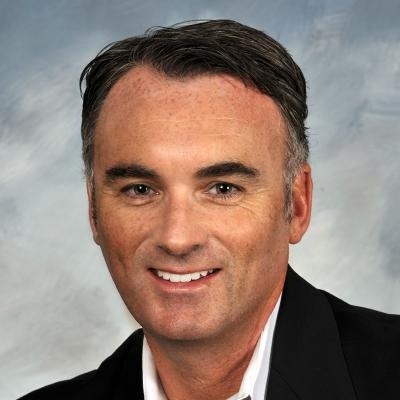 The vast majority of the sales training that’s out there now is focused around the conversation between the salesperson and the customer. But we have found that that’s only one of three separate conversations that are critically important to success. Adopting a few directing tips may not make your reps learn to love role-play, but they will learn how to perform more effectively when they step onto the business stage. Start with the end in mind and write down questions that meet the goal you have, the feeling you want your prospect to have, and the reasonable incremental action they could take. 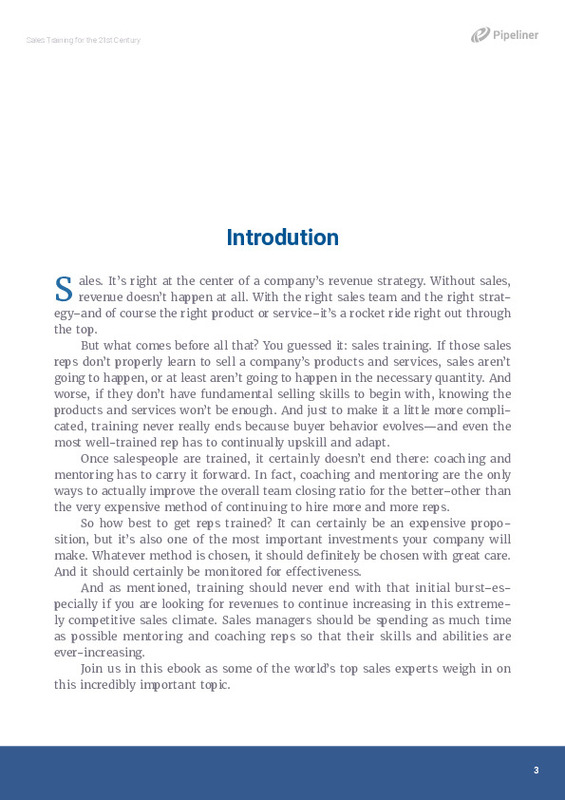 The source of a salesperson’s learning should be customer-derived rather than trainer-derived. Higher performing salespeople observe their customers more keenly. 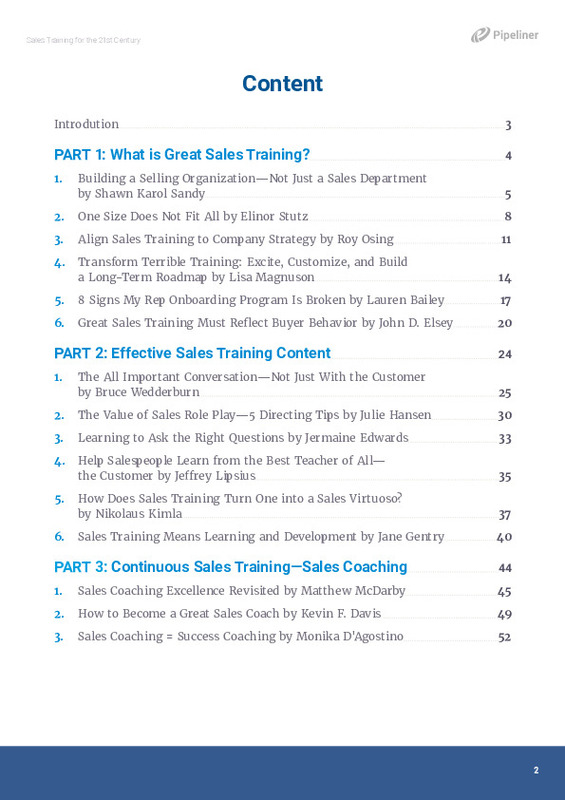 Chapter 11: How Does Sales Training Turn One into a Sales Virtuoso? The problem is that most salespeople are given product knowledge and some theory, then perhaps some coaching, but it often stops after the rep has had some sales success. They never get the chance to practice their craft and consistently improve their performance, as an artist does. 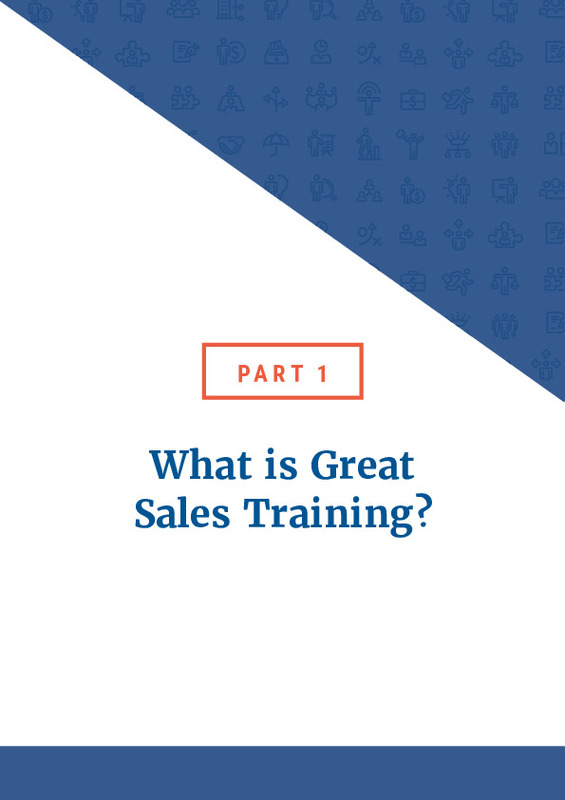 50 percent of sales managers think that if you got rid of training altogether, it wouldn’t impact the performance of their sellers. They might be right, because we have not learned yet that by and large it’s development that changes behavior. 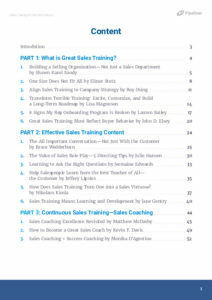 Effective sales coaching is perhaps the key differentiator that separates great sales organizations from average ones. To improve the amount of time you spend coaching, you need to take back control of your time. To improve the quality of sales coaching, you need to refocus yourself where your involvement can have the greatest impact over the long term with your salespeople.